Oil on Linen, Signed & Dated lower left, Inscribed "Fire" / James Gleeson verso. 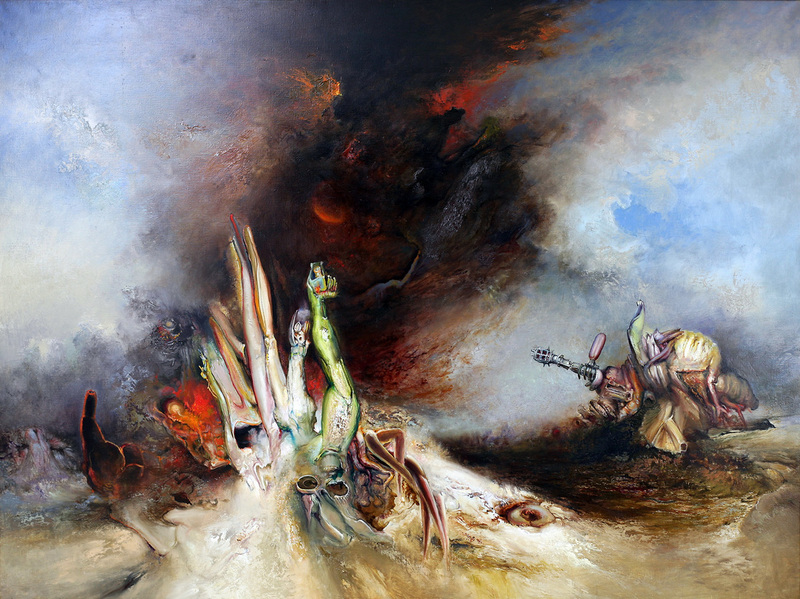 Provenance: Watters Gallery, Sydney; Charles Nodrum Gallery, Melbourne; The Estate of Pro Hart, Broken Hill NSW; Private collection, Melbourne. Independent Valuation provided with purchase.